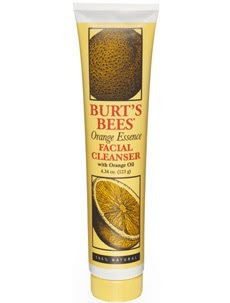 Review: The Burt's Bees Orange Essence Facial Cleanser is a 100% natural product and one of my favorite scented cleansers. Its citrus smell definitely wakes you up during the morning. I have a travel size tube which I brought me with on my vacation. Every morning after I used this, I was awake and refreshed. The orange oils calmed my skin and it felt nice & smooth after washing. Read more Total Beauty reviews on more Burt's Bees products here.